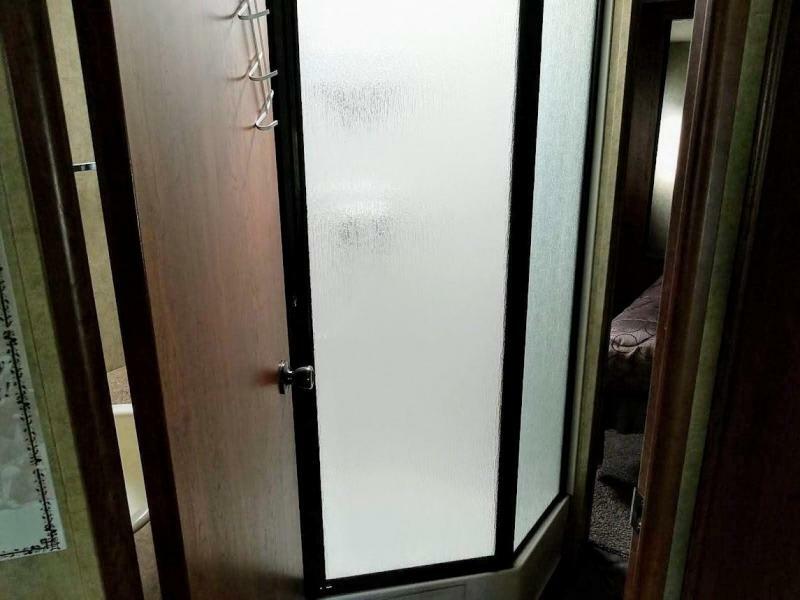 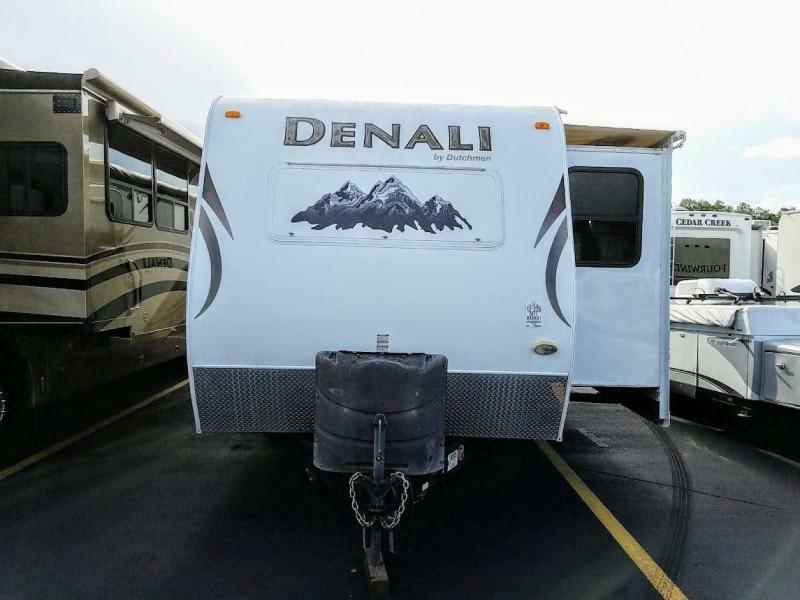 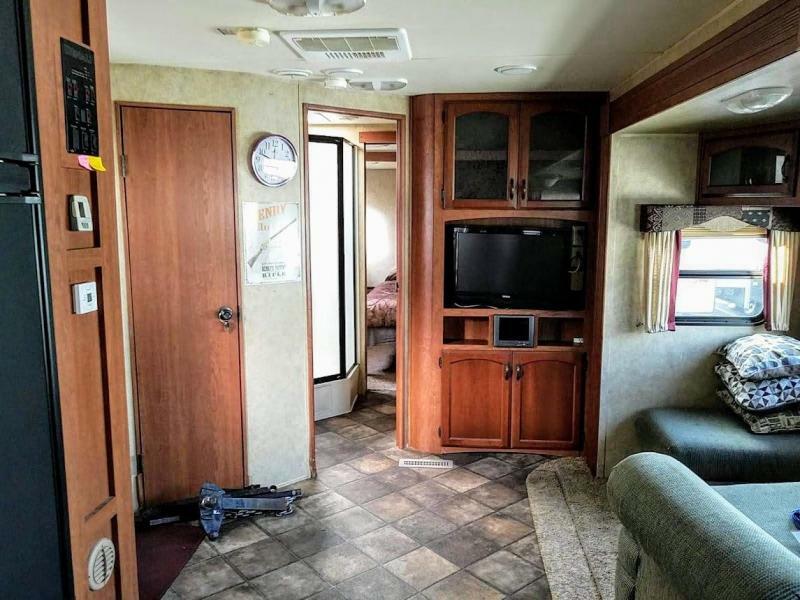 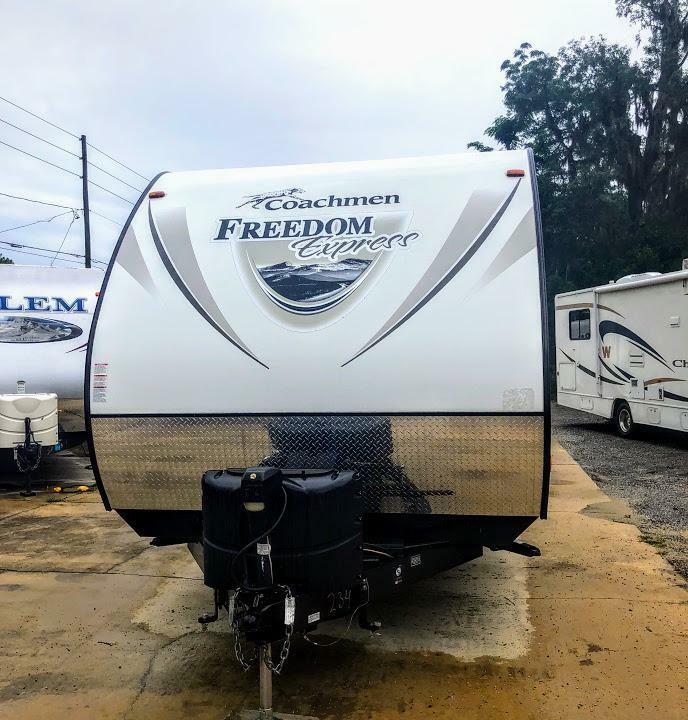 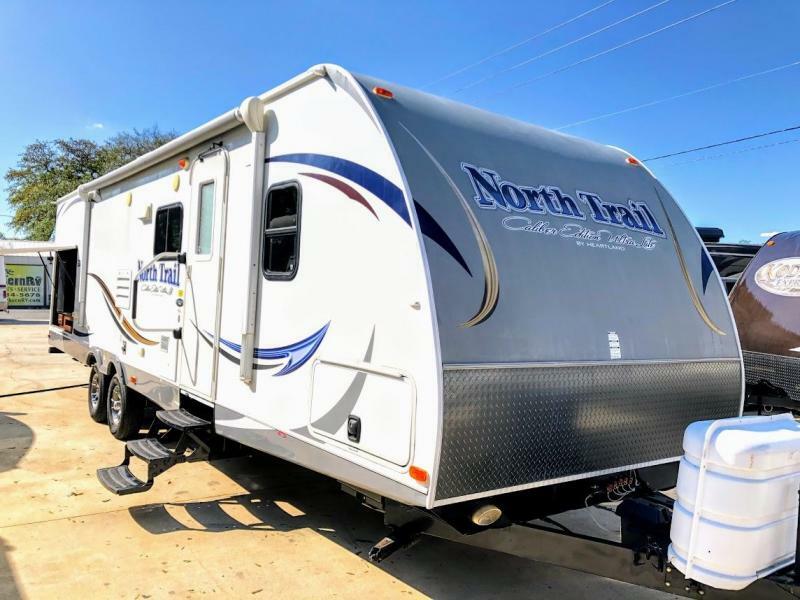 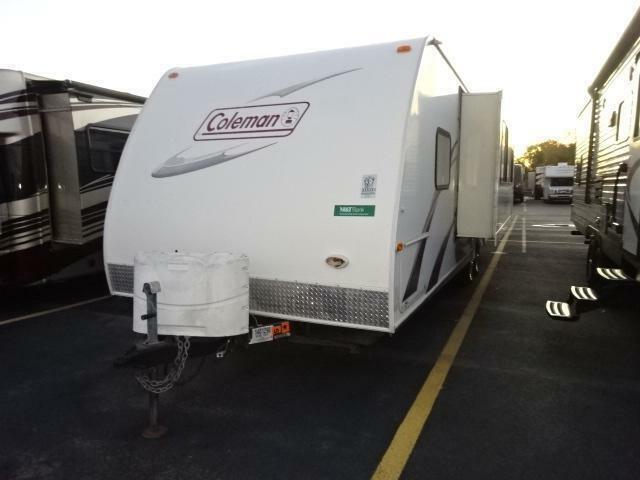 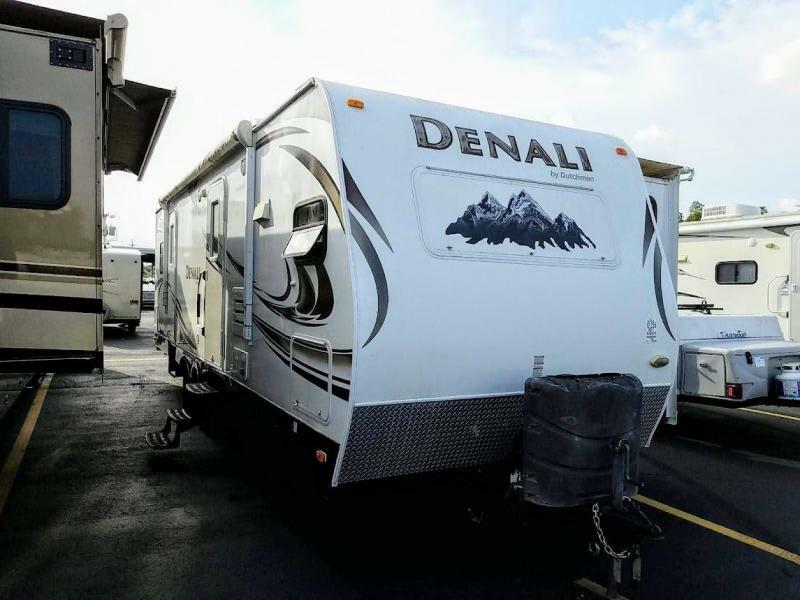 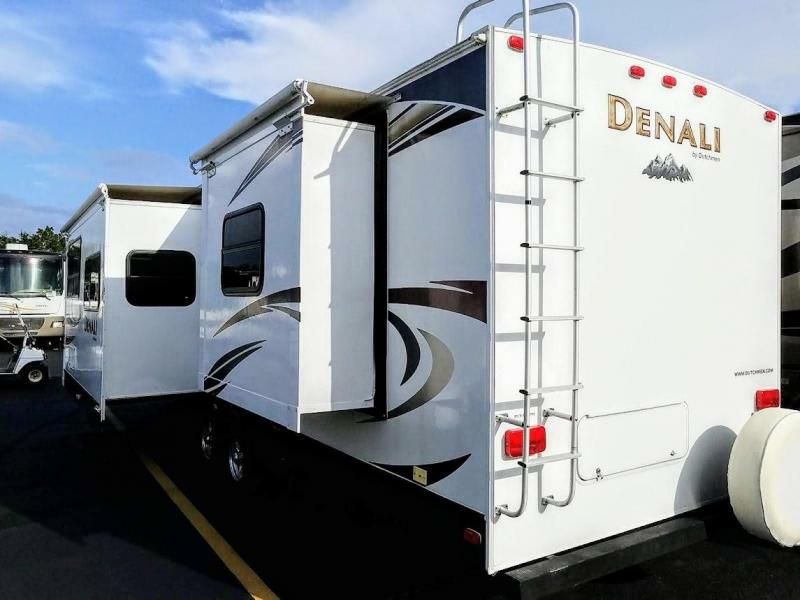 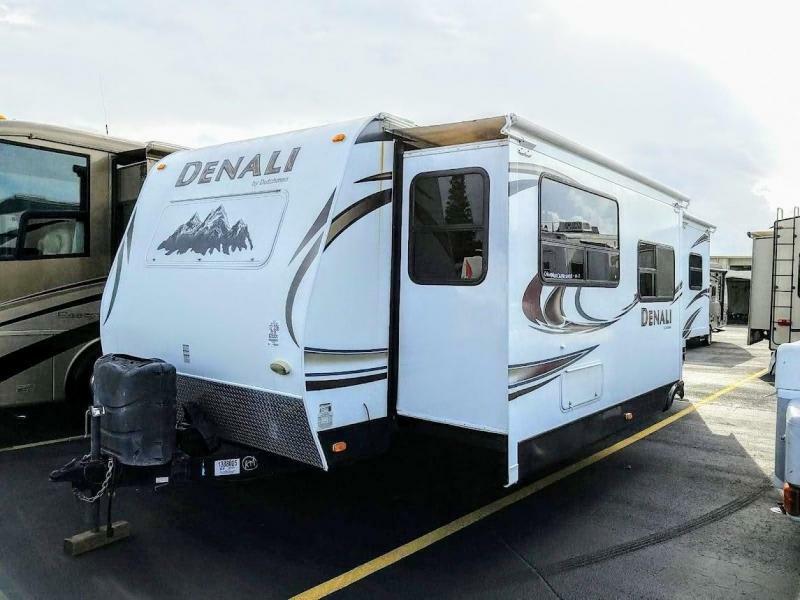 Double Slide Dutchmen Denali Travel Trailer 2 Door w/Rear Queen Bed Slide w/Overhead Cabinet & Shelf, Wardrobe w/Sliding Closet Doors, Dresser w/Shelf, Private Bedroom Entry, Walk-Thru Bath w/Neo-Angle Shower, Sink, Toilet w/Linen Cabinet, Storage, Ent. 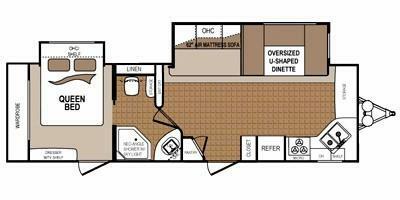 Center, Corner Pantry, Air Mattress Sofa & Oversized U-Dinette Slide, Front Kitchen Including: Closet, 2 Door Refrigerator, 3 Burner Range, Oven w/Microwave, Dbl. 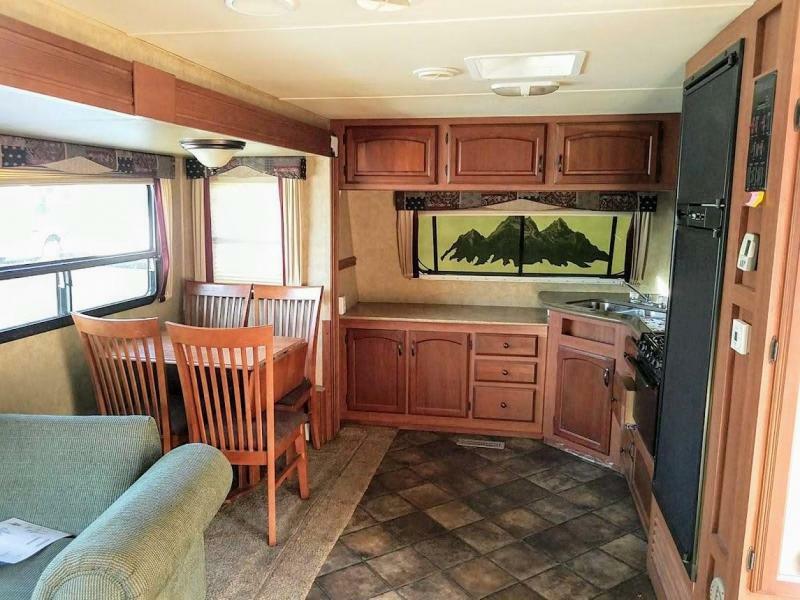 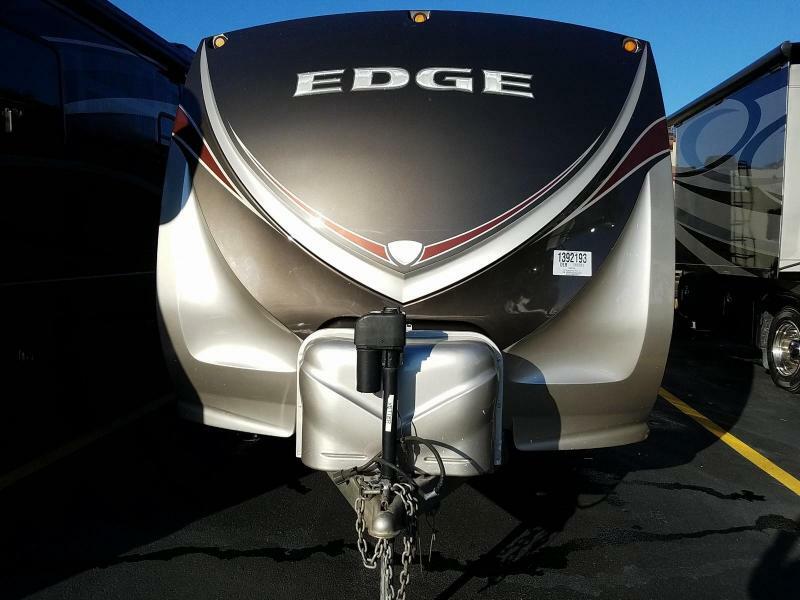 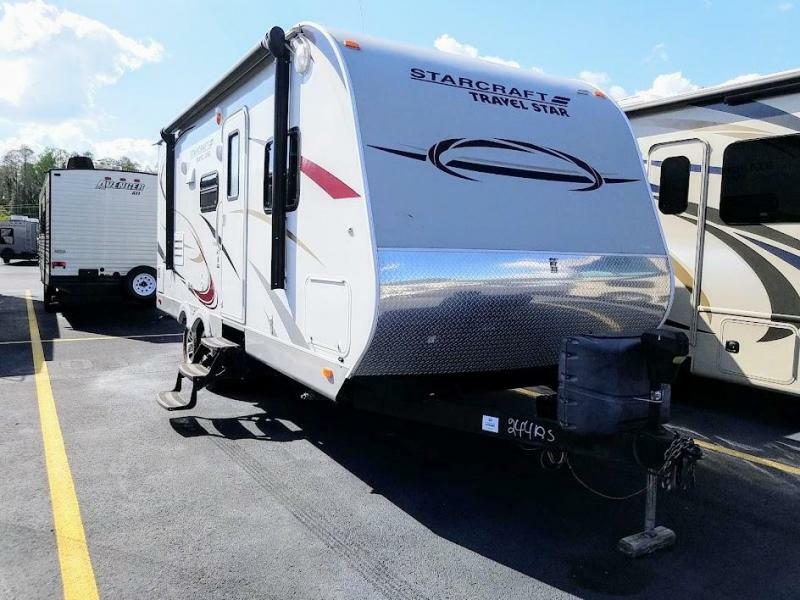 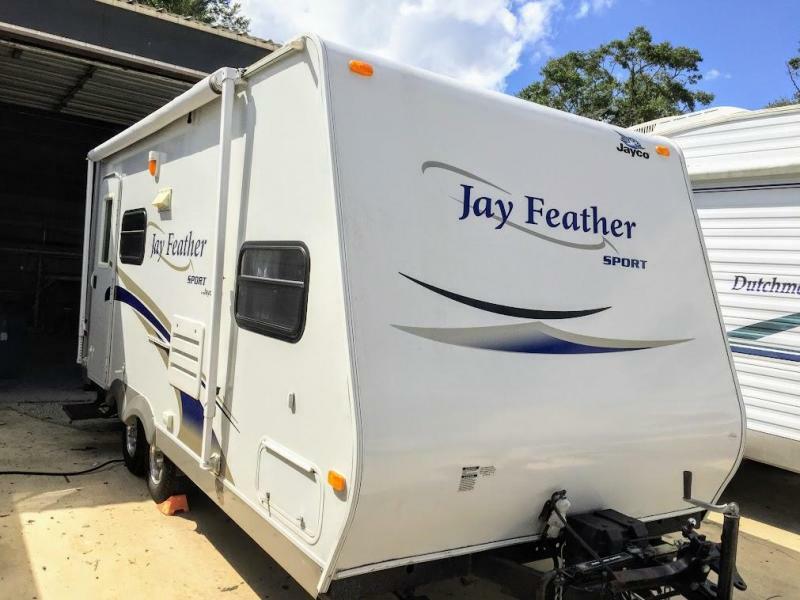 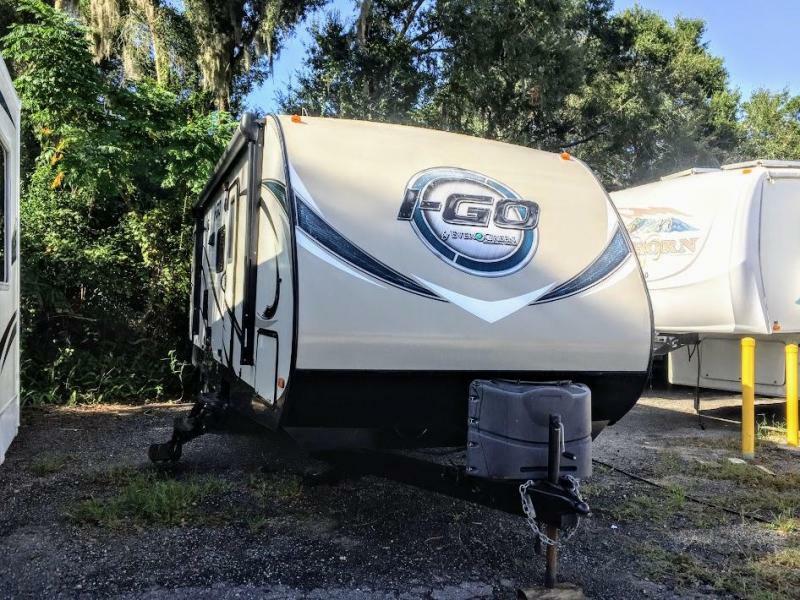 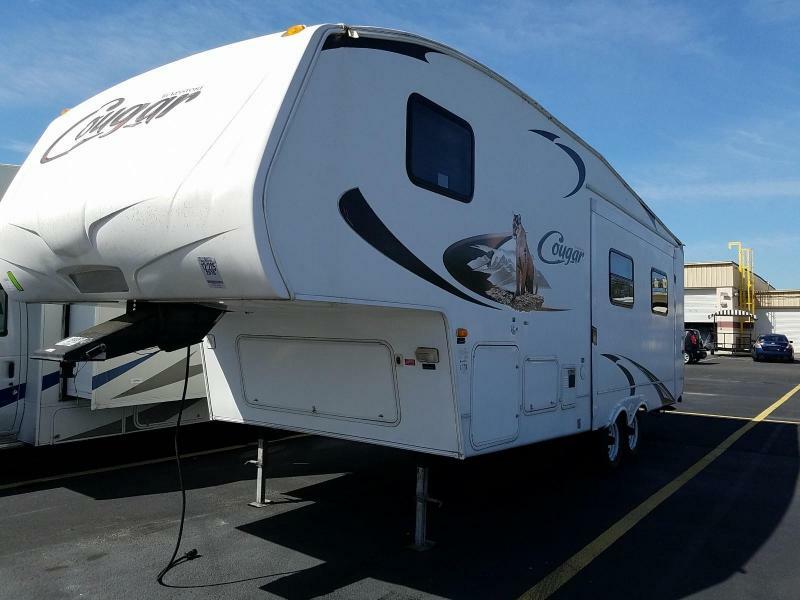 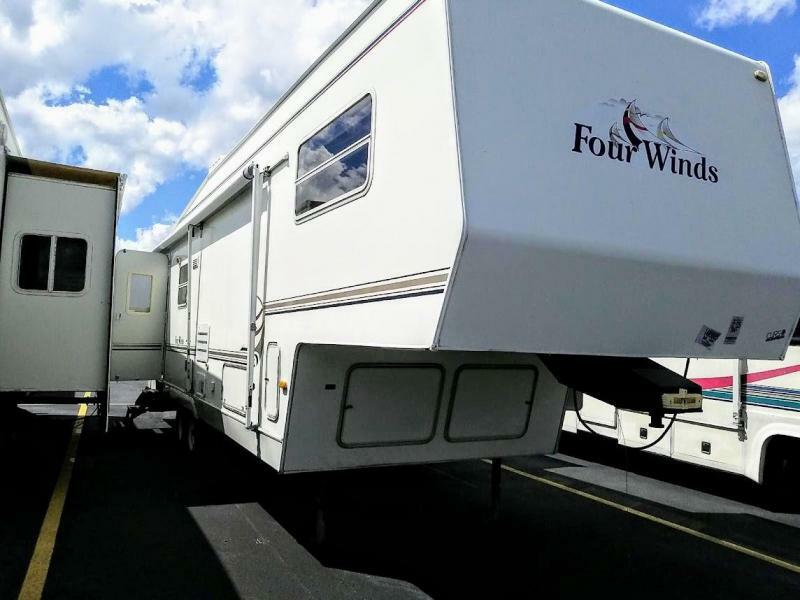 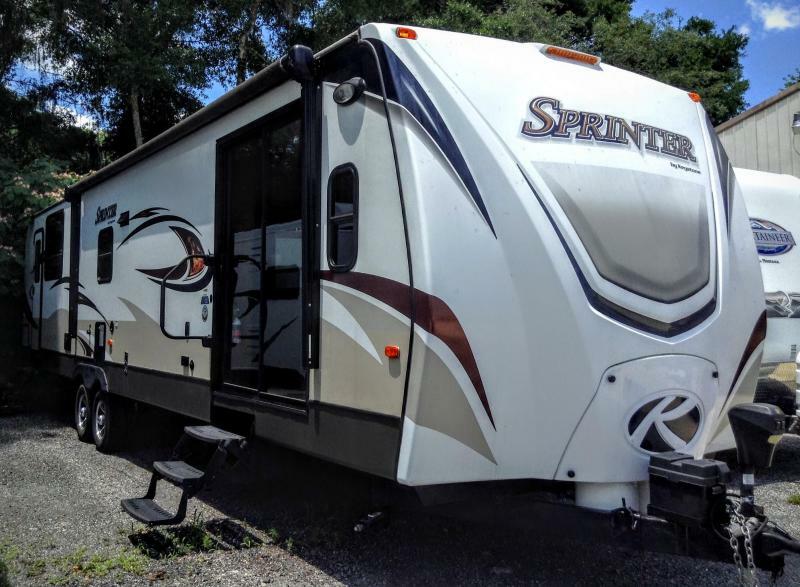 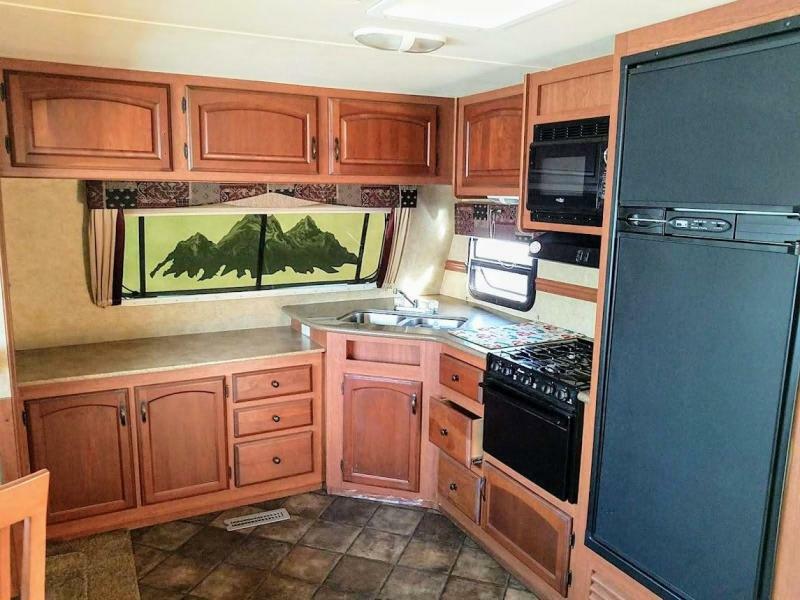 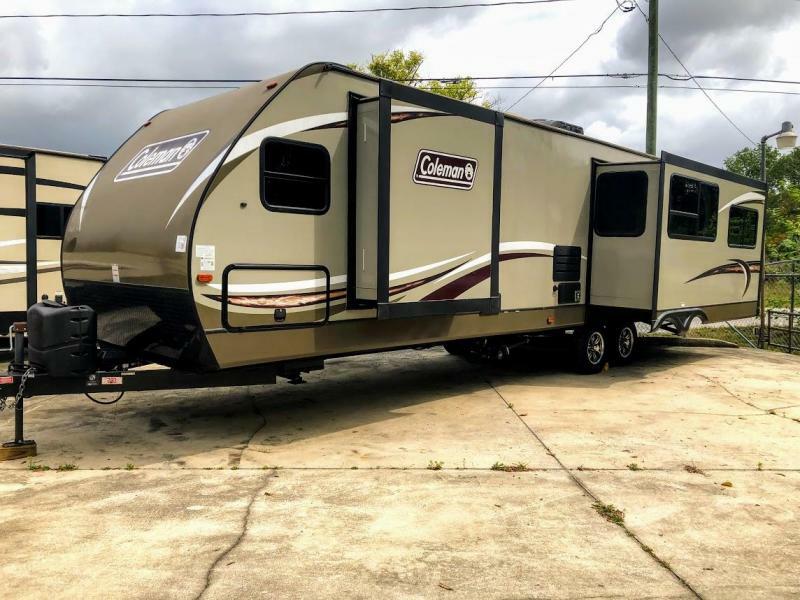 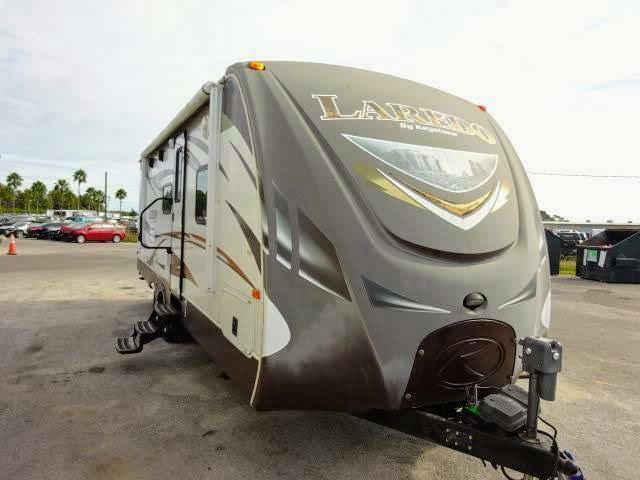 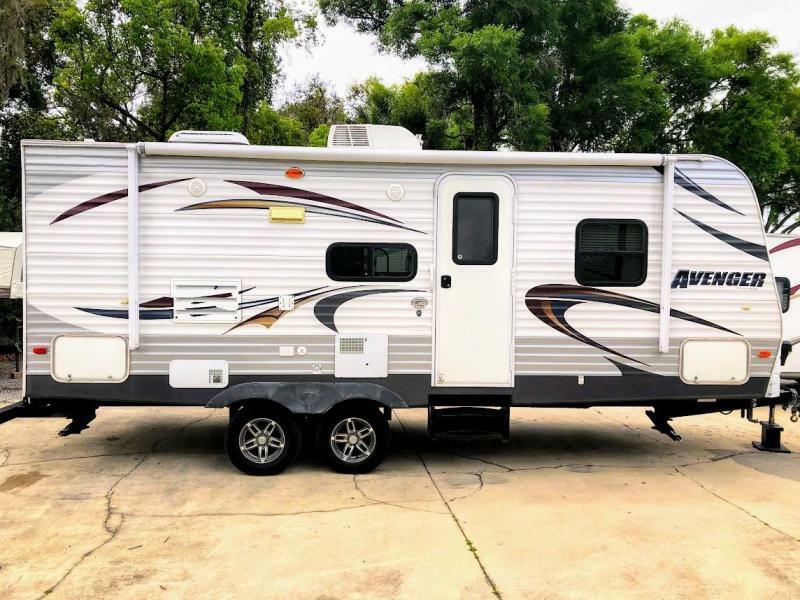 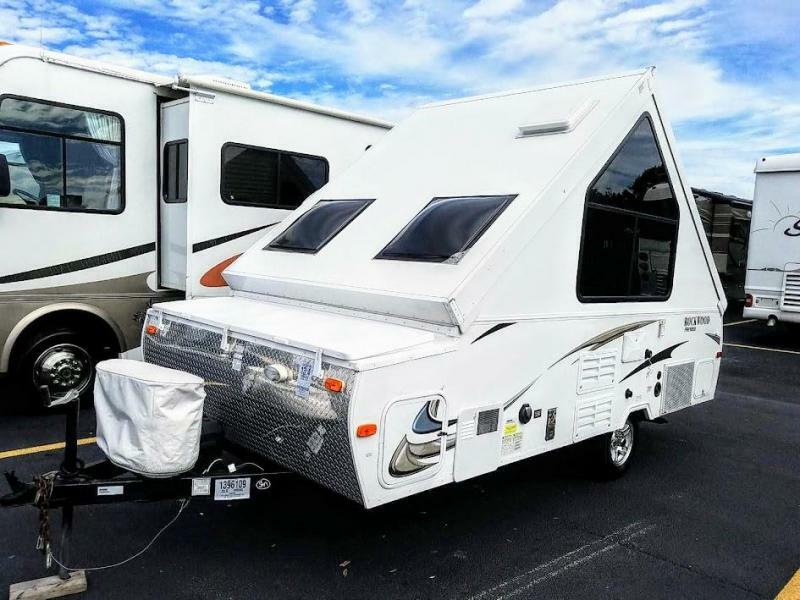 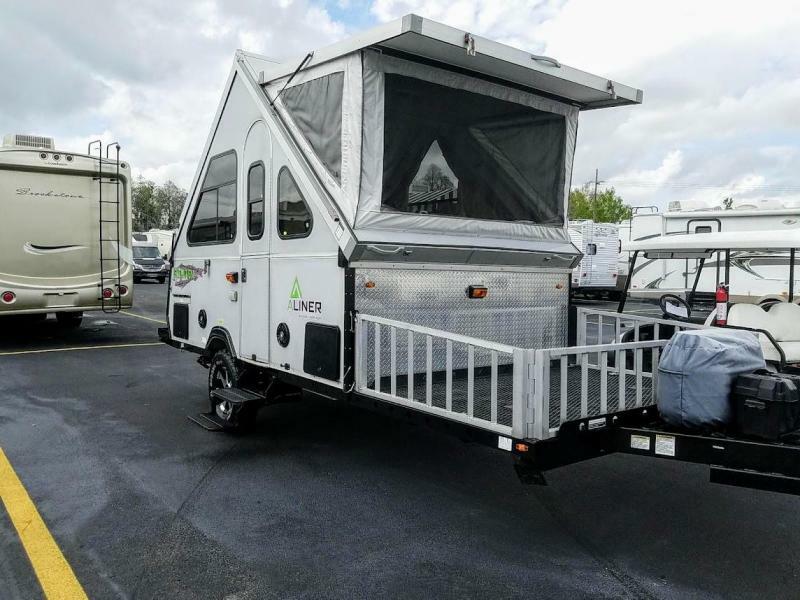 Kitchen Sink w/Shelf Above, Storage, Flat Screen TV, Power Awning, 13.5K A/C, Power Stabilizer Jacks, Outside Speakers, Aluminum Wheels, Spare Tire, Rear Ladder, Furnace Heater, Water Heater, Black Tank Flush, and Much More!